We are thankful to all our patients who visit us at our Council Bluffs dental office and Carter Lake dental office and trust us to provide some of the best in family dentistry, cosmetic dentistry, restorative dentistry and more. In the spirit of giving back, the team at Omni Dental is proud to be active members in our community. We are passionate about spreading the word to everyone about the importance of oral health. Our dentist are proud to volunteer at many charitable events, give free dental care to people in need, and partner with local businesses. Read more below about the community events in which we participate. 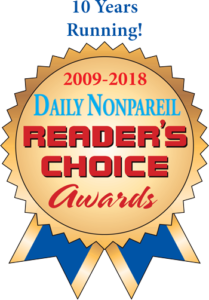 Omni Dental has been named Top Dentist in The Daily Nonpareil for the 8th year in a row for the Reader’s Choice Awards 2016. 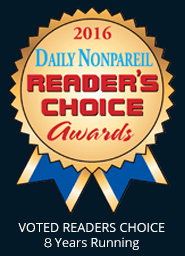 We would like to thank our inspiring patients and all of the Nonpareil readers for their continuous support! 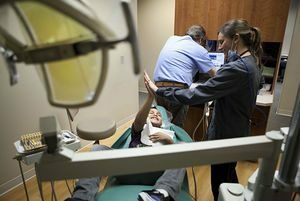 To ensure that you and your family keep receiving state-of-the-art oral health care possible, we will continue to invest the best into in our team, training, and technology. We couldn’t have made here without you. To see us in The Daily Nonpareil, click here! 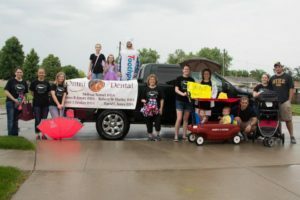 Our Omni Dental team had a great time at the Carter Lake Parade on June 6th! Check out our Facebook page to see many more photos! Losing a Tooth has never been better! 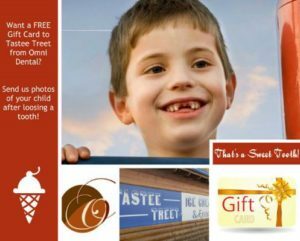 When your child loses a tooth simply post that picture on our Facebook page and the next time you’re in the office your child will get a FREE Gift Card to Tastee Treet from Omni Dental. Omni Dental and Tastee Treet: Giving you even more to smile about! Dr. Jones enjoyed visiting Miss DeRocher and Mrs. Overstreet’s Kindergarten classes at St. Albert’s in honor of Children’s Dental Health Month. 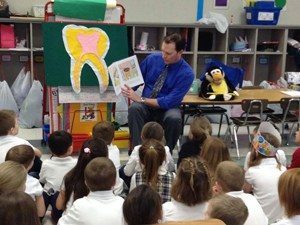 Dr. Jones showed the children the layers of a tooth, how a tooth gets decay, healthy snacks and read a book about dental health. You can see more photos on our facebook page here! Omni Dental is proud to have participated once again in this wonderful event to help the children of our community. Over 130 uninsured and underinsured elementary and middle school aged children were provided free dental care. 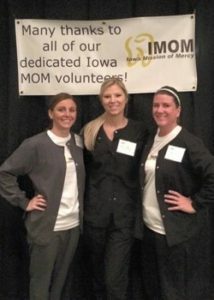 To learn more about the Give Kids a Smile program please see the video below and read The Daily Nonpareil article here! You can see many more photos on our Facebook page here!